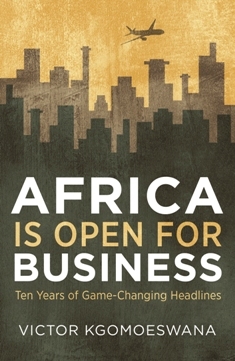 Victor Kgomoeswana, well known as an African business expert with a profile on radio and television, shares 50 stories of innovation and opportunity behind the business headlines of the last ten years on the African continent. From the introduction of M-pesa in Kenya to changing the image of Nigeria as Africa’s fraud capital, and from Rwandan coffee farmers to Ethiopian Airlines, and other remarkable stories in between, Kgomoeswana criss-crosses the continent to highlight the most fascinating business stories and their impact on the future of Africa. Victor Kgomoeswana is the Executive in Business Development at PPC, a listed South African cement company with operations in South Africa, Botswana, Zimbabwe, Mozambique, and expanding into the rest of the continent. His role is finding investment and growth opportunities for PPC and laying the foundation for engagement. He has been presenting the weekly African Business Report on Talk Radio 702’s Africa Business Report since July 2007 and features frequently as a guest on CNBC Africa, SABC television and radio stations on the topic of African business. Kgomoeswana is the founding editor of Eye on Africa, Ernst & Young’s regular publication that highlights investment opportunities across the continent, and he is a contributor to several conferences and other discussions on Africa as an investment destination. This is his first book. In an interview with Deutsche Welle, Auma Obama, sister of US president Barack Obama and author of And Then Life Happens, discussed the problems of the developing world when it comes to issues of sustainability. Through her organisation, Sauti Kuu, Obama has come to see that things like pollution and over-fertilisation mean very little to poor people when they are struggling just to feed themselves and their children. She talked about how the solutions may seem simple and attainable to some, but have to reflect the lived experiences of the people. Deutsche Welle: Ms. Obama, high expectations were placed on the United Nations Conference on Sustainable Development in June this year. What is still left of that? Auma Obama: We have to realize that there are no quick fixes. We have to cooperate even more and – most of all – we have to develop down-to-earth answers to overcome environmental problems. Weekend Magazine: Could you tell us a bit about yourself? Branwen Okpako: I was born in Lagos, Nigeria to an Urhobo pharmacologist father and a Welsh librarian mother. My younger brother and I had a happy childhood on the beautiful campus of the University of Ibadan. I later attended the Atlantic College in Wales where I completed my International Baccalaureate, before going to the University of Bristol where I studied politics. After that I came to Berlin to study at the DFFB (German Film and Television Academy), here I met and studied with Tsitsi Dangarembga, Wanjiru Kinyanjui and Auma Obama. I have stayed in Berlin where I continue to make films and raise my children. A documentary about Auma Obama, half-sister of US President Barack Obama, was shown in London yesterday to coincide with the US election. Screenings of The Education of Auma Obama from part of the Film Africa festival. The film was made by Nigerian-born Branwen Okpako, who now lives in Germany. She has been a friend of Auma Obama’s since the two met in film school in Berlin. When Okpako decided to make the film, Obama was apparently not too thrilled about the idea, but because Okpako is a friend, she felt reassured enough to consent to it. Barack Obama, who was re-elected today as US President, focused in his election campaign on issues of family, women’s rights, education, health, jobs and more equality across the board. These are some of the things Auma Obama espouses in her own life and work in Nairobi, Kenya, with her organisation Sauti Kuu. The Education of Auma Obama chronicles Obama’s life and follows the family in Kenya, documenting the moment in 2008 when her half-brother became the US President. Auma Obama’s memoir And Then Life Happens details her early years and includes how she met her half-brother and developed a deep affection for him. It was a night Auma Obama remembers well. “We had a lot of people visiting to watch with us,” she says. “There was a lot of excitement because it had been such a tough race. There was a sense of relief that all the hard work had paid off. Winner of the award for Best Diaspora Documentary at the 2012 African Movie Academy Awards, ‘The Education of Auma Obama’ is a character portrait of the US President’s older half-sister, Auma. Born, raised and now living in Kenya, Auma is a teacher who is seeking to inspire the future generation of socially-engaged activists who will lead the country. Barack Jr and Auma are the children of Barack Sr, a Harvard-trained economist who lost his life in a car accident. Sue Grant-Marshall interviewed Auma Obama, author of And Then Life Happens: A Memoir, for Business Day. It’s never easy being the sibling of someone extremely famous. This is compounded when he’s one of the most powerful men in the world and you’ve grown up apart, on far-flung continents, in different cultural and ethnic societies. Auma Obama comments, somewhat tartly, that people are usually disappointed when she tells them there’s nothing special about her relationship with Barack. “It’s boring. We’re just a brother and sister who see each other whenever we have the time,” she says. That is revealing in itself, for many families connected in similarly unusual circumstances might ensure their paths never crossed. But it’s clear from her book, And Then Life Happens (St Martin’s Press), that their relationship is more than a biological incident. It’s a friendship. 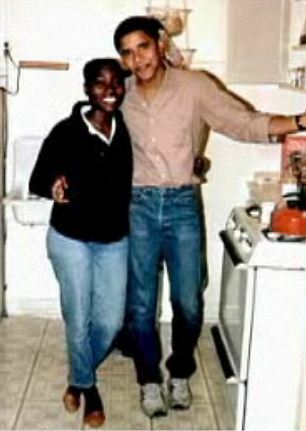 It was Barack Obama, in his early 20s back in 1984 when he was working in “the projects” in Chicago, who first reached out to his half-sister, who was working in Germany. Toe Auma Obama, president Barack Obama se halfsuster, Suid-Afrika onlangs besoek het om haar memoir, And Then Life Happens, te bemark, het Margot Pakendorf en Janice Keogh die boek se bekendstelling by die Goethe-instituut in Johannesburg bygewoon. Albei is ná die bekendstelling daarvan oortuig dat hierdie vrou, wat van kleins af in opstand gekom het teen die paternalistiese stelsel in Kenia en sonder haar pa se toestemming ‘n beurs by ‘n Duitse universiteit aanvaar het, allermins op haar halfbroer se roem hoef te ry. Sy het uiteindelik na Kenia teruggekeer waar sy vir die nie-regeringsorganisasie Care gewerk het en op die oomblik staan sy aan die hoof van Sauti Kuu, ‘n organisasie wat veral meisies bemagtig om hul omstandighede te verander. Toe die Goethe-instituut ’n uitnodiging stuur vir die bekendstelling van Auma Obama se lewensverhaal dog ek ja wat, sy ry lekker op haar beroemde halfbroer (sy het hom eers as volwassene ontmoet in die 1980’s) se roem. Ek woon dit toe wel by, weliswaar langtand. Maar was ek bly dat ek gegaan het! Sy is so sterk, welsprekend en intelligent soos haar broer. Toe die vrou wat haar moes bekend stel haar boek langdradig begin opsom, onderbreek sy haar summier, sê sy is ongemaklik daarmee, vra kan sy buitentoe gaan totdat die vrou klaar is en dan vir vrae terugkom? Sy vat duidelik nie kaf van kabouters nie, dog ek. Haar broer is die eerste swart president van die VSA en in restaurante en in lughawens wêreldwyd word sy oorval deur mense wat meer oor Barack Obama wil weet. Dit het so erg geword dat Auma Obama haar deesdae net met haar voornaam voorstel en as iemand begin vra: “Maar is jy nie?.. dan jok sy. Auma Obama, sister of US President Barack Obama, was in Cape Town recently to promote her autobiography, And Then Life Happens. Packed with anecdotes of her life in Kenya and her eventual departure to Germany, Auma’s story is yet another in the canon of post-colonial memoirs that will serve as a reminder to many that the experiences of Africans in the diaspora are at once varied and distinct, but not without certain similarities. Translated from the German by Ross Benjamin, And Then Life Happens offers a candid look at Auma’s early life and family, and her education in Germany. She also writes of her move to England for love, marriage and giving birth to her daughter Akinyi. The Goethe Institut, who brought Obama to South Africa for the Idasa launch and others around South Africa, provided delicious and plentiful fare for the substantial audience. After the talk, many lingered to take their photograph with Auma and get their copy of And Then Life Happens signed. Auma Obama, sister of US President Barack Obama, released her autobiography, And Then Life Happens, in English in April this year. Obama spoke to TODAY’s Ann Curry about the memoir, originally published in German as Das Leben kommt immer dazwischen, in which she describes meeting her brother for the first time. 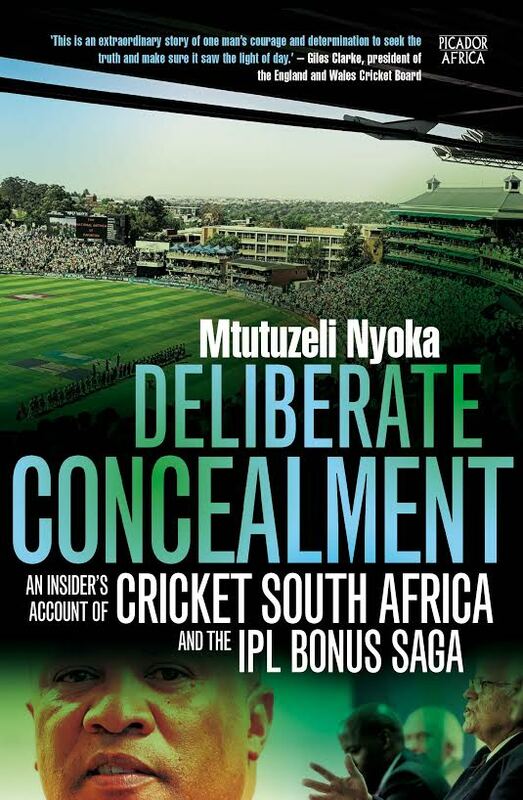 TODAY has also published an extract from the book. “What do you mean by that?” asked Barack. We were now sitting in his living room. While we ate, I had tried to explain to my brother the phenomenon of the “chosen ones,” for he just couldn’t understand how a single person could be expected to assume responsibility for an extended family. “I understand that it’s hard for you to grasp,” I replied. “I basically feel the same way. But it’s simply what our tradition requires. There were times when there wasn’t even enough money for my school fees, and I had to watch our father give away everything he had left to a relative. He was always confident that we would somehow get by.” Against my will, my words had sounded despondent. Auma Obama, sister of US President Barack Obama, will be discussing her book And Then Life Happens in Joburg at the Goethe Institut on the 14th of June and she will be in Cape Town, at IDASA, on the 15th of June. Auma was born in Kenya, and left the country at the age of 19 to study in Germany. During her 16 years there, she was confronted with the contradictions between European and African culture. Afraid of not really belonging to either, she was frustrated and had the feeling of being torn apart. Her personal story gives an insight into life between different cultures. 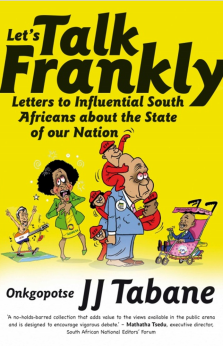 Join the author for a discussion of her life and lessons, as she launches her autobiography on Thursday 14 June at the Goethe Institute in Joburg and on Friday 15 June at the IDASA building in Cape Town. While her younger brother Barack grew up in the U.S. and Indonesia, Auma Obama’s childhood played out at the other end of the world in a remote village in Kenya, the birthplace of the siblings’ shared father. Barack and Auma met for the first time in the 1980s, and they built a lasting relationship which lead to travels together in Kenya, research into their family history and finally Auma’s support for her brother’s political career and eventual bid for the U.S. presidency. Auma spent sixteen years studying and living in Germany, moved to England for love, and gave birth to a daughter there. The tension between her original and chosen worlds and cultures was a constant challenge, and eventually Auma returned to Africa and worked to support young men and women in shaping their futures. Auma Obama was born in Kenya right after the country gained its independence. She grew up first with her mother and paternal grandparents, and later with her (and President Obama’s) father and American step-mother. She now works in Nairobi for CARE International, an organisation specialising in educational projects worldwide.